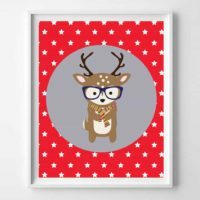 Looking for nursery and kids wall art ideas? 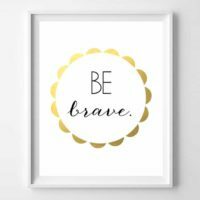 I’m sharing free printable wall art perfect for your child’s nursery, bedroom, playroom or to give as a gift! A couple of years ago, I did a post sharing my favorite free printables. 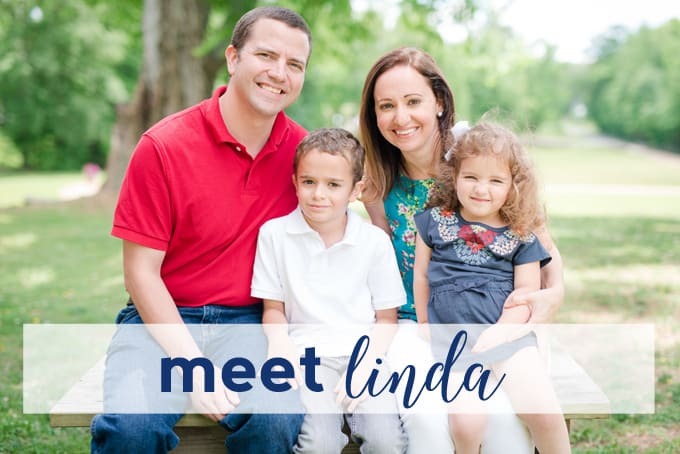 It’s one of my most popular posts, and has grown to include over 75 printables. 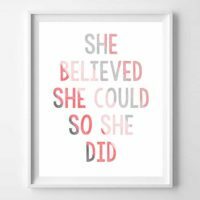 Today, I wanted to make a post exclusively for nursery and kids wall art printables. 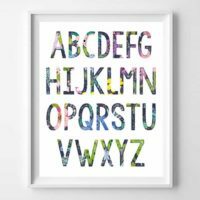 Also, if you love printable name art, see our compilation of ALL our available alphabet printables! 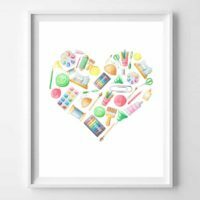 Sharing favorite wall art free printables for kids! If you're looking for kids wall art, this is a great place to start. 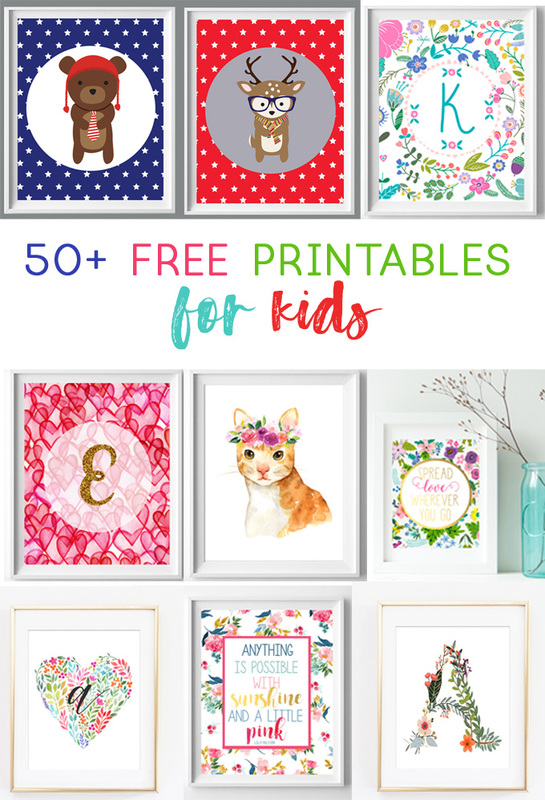 Free printables are an inexpensive and easy option to decorate your child's nursery, kids room or playroom! Floral art is so on trend right now! 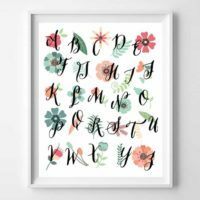 These floral alphabet printables are perfect for nursery decor, baby gifts, and more! 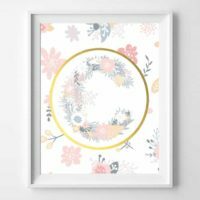 Feminine and sweet, this floral alphabet printable is perfect for a girl's room or baby shower decor! Sweet watercolor crowns make these woodland printables a reader favorite. 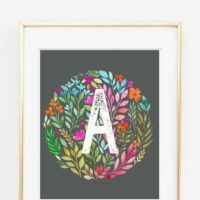 Beautiful colors and a bold initial make these initial printables perfect for a nursery or kids space! 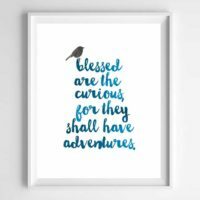 "Blessed are the curious, for they shall have adventures." 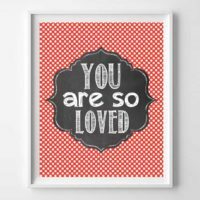 Such a sweet and meaningful wall art printable. Perfect for a playroom or art desk, this printable features watercolor art supplies. 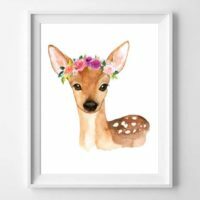 Cute woodland animals nursery art printables are perfect for baby’s nursery or baby shower decor! Download your favorite (or all three) for nursery wall art perfect for a baby boy or girl! Looking for another style of woodland art? These hipster animals are so, so adorable! 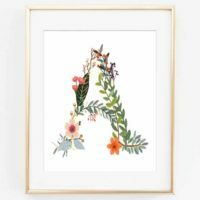 Available in all 26 letters, these letter art printables are perfect for a gallery wall or gift. 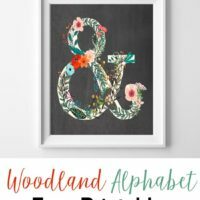 Prefer a chalkboard background for your woodland letter art initials? We have that, too! Perfect for your gender reveal party, maternity party or baby shower! 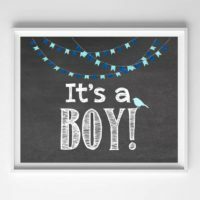 Choose from "it's a boy" and "it's a girl"! I create a lot of digital art, and these Lilly Pulitzer quote printables are among my very favorite. I love the soft watercolor floral background, and the quote in shades of pink, gold, blush and blue. Sharing some of my favorite song lyrics, and one of my favorite colorways (rainbow! ), in this free printable! 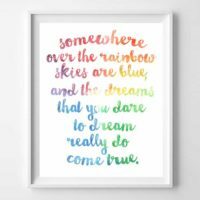 Such a colorful and inspirational piece perfect for a playroom, nursery or kid’s room! 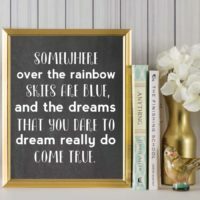 I love the simplicity of this “somewhere over the rainbow” free printable! The white lettering really pops on the chalk background; I love this for a kid’s room, playroom, or a gift! 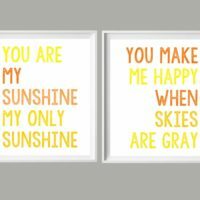 These would make a great addition to your daughter’s nursery, or are perfect for baby shower decor! One of these initial printables framed and wrapped would make a meaningful (yet inexpensive) baby gift! 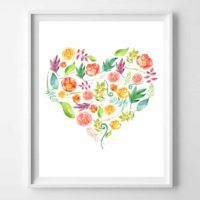 Looking for some gorgeous, watercolor heart art for a nursery, baby gift or gallery wall? Look no further. 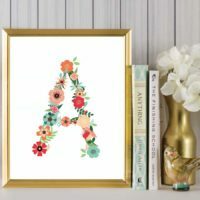 These free printables are available in 26 letters, and add the perfect dose of inexpensive color and style to your home! 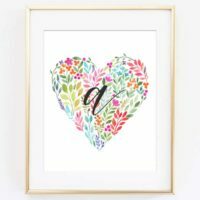 Free printable girl’s initial art is perfect for your daughter’s nursery decor, baby shower decor, or to give as a gift! Be You Tiful! 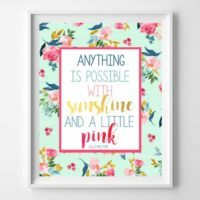 I adore the colors in this printable-perfect for a baby girl! 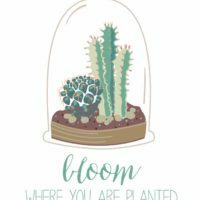 I loved designing today’s free printable for you all–combining some lovely fonts and a darling succulent illustration, today’s freebie also shares one of my favorite quotes “bloom where you are planted.” Enjoy! 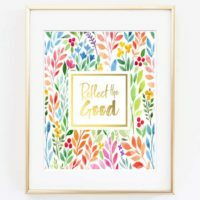 Sharing two, free printable art pieces featuring a modern, floral background and the phrases “kindness matters” and “reflect the good. 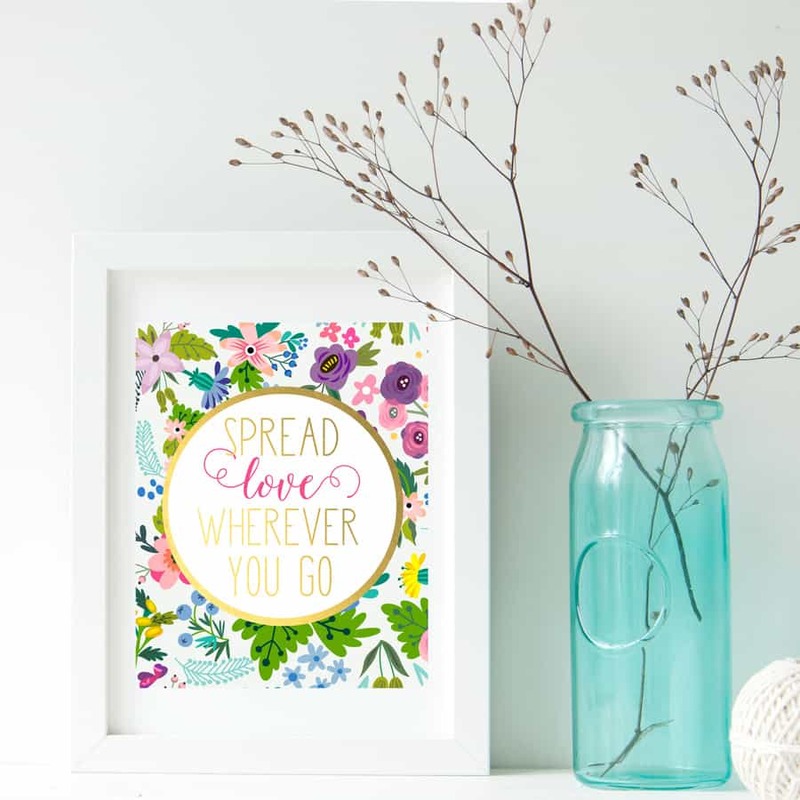 Looking for easy and inexpensive spread love quote printables? You’re in the right place! Choose from two colorways for free art for your home or gifts! I’m sharing some shabby, distressed, and floral free printables! 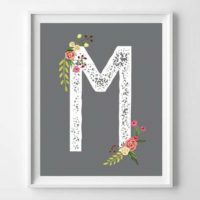 Use them to spell out a name, a monogram, or just choose an initial to frame and hang! 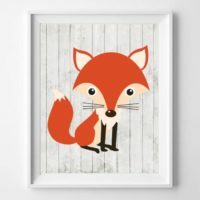 Looking for free printable nursery art? 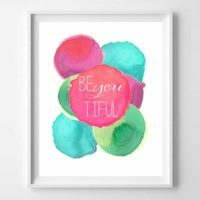 Featuring the phrases “though she be but little she is fierce,” “you are altogether beautiful” and “love love love you”, these free printables are perfect for nursery decor, baby shower decor or baby gifts! Combining a lovely floral background + chalkboard is one of my new favorite things. Perfect for a nursery, shower decor or baby gift, this free printable is one of my favorites! 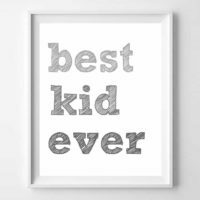 Tell your kid he or she is the "best kid ever" with this free printable! These hot air balloon printables are perfect for a baby gift or nursery wall art! 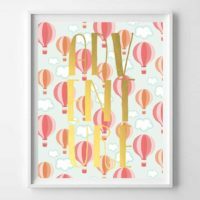 Featuring a gorgeous hot air balloon background and faux gold foil, these free printables are perfect for your little one’s space. "You are my sunshine, my only sunshine. You make me happy when skies are grey." 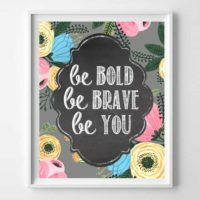 Download these printables for easy wall art! 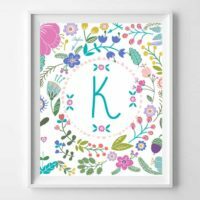 I love this set of bright and cheery floral alphabet and numbers printables! "You Are So Loved." Download this fun and free printable in black, white and red! 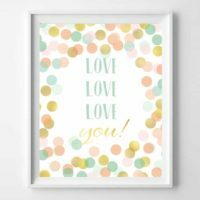 The colors in these floral heart printables just make me happy; shades of green, aqua, plum, gold and pink work together beautifully to create something bright, colorful and fun. 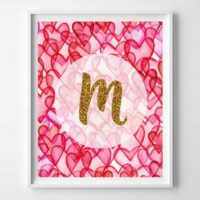 These heart-themed printables aren't just for Valentine's Day; if you have a little girl who loves this color scheme, print and frame it for her bedroom walls! Thanks for reading all about our Nursery and Kids Wall Art Free Printables. Have a lovely day!